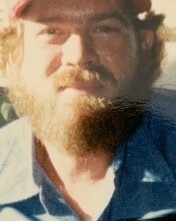 SOUTHWICK – Darrell E. Richmond, Jr., 60, passed away unexpectedly on January 22, 2019. He was born in Westfield, MA on January 6, 1959. The son of Shirley (Richmond) Willey and the late Darrell E. Richmond, Sr. He was employed at Great Brook Lumber for 25 years. He is survived by his mother Shirley Willey and her husband Charles (Bob) of Washington, MA, his sibling, Violet D’Antonio and her husband David of Enfield, CT; Donald and Russell Richmond of Washington, MA and Cindy Richmond and her partner John Beauregard of Becket, MA. He also leaves a niece Samantha Pierce and her husband Myles and their daughter Savannah of Monterey, MA and a nephew Robert Beauregard of Otis, MA. He also leaves many family and friends. All services will be private. For more details please visit www.messierfuneralhome.com.